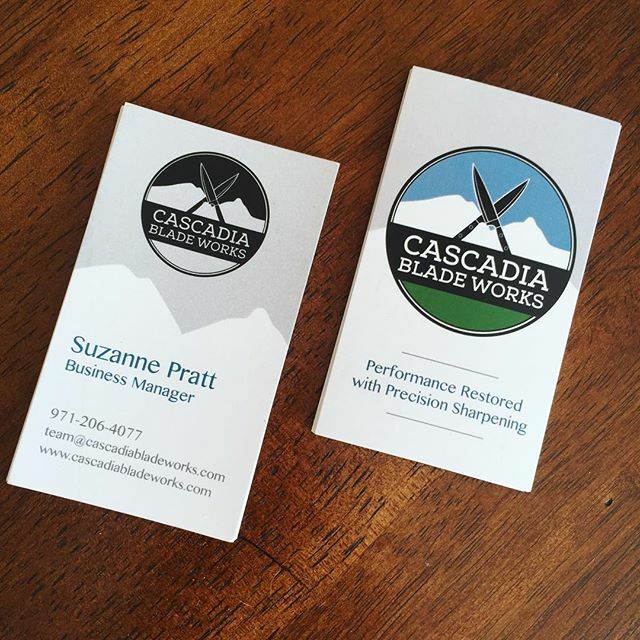 With hundreds of hours of expert training and a wealth of research and enthusiasm on their side, Cascadia Blade Works wanted their new business to immediately stand out among their competition. We laid the foundation for an awesome launch with a modern brand that focuses on the care and quality of their fine sharpening services. Their people-centered approach is an important value, especially with their regular appearances at Farmers' Markets around town. We created business cards that make their brand memorable, so their customers know where to find them even during the Market off-season. 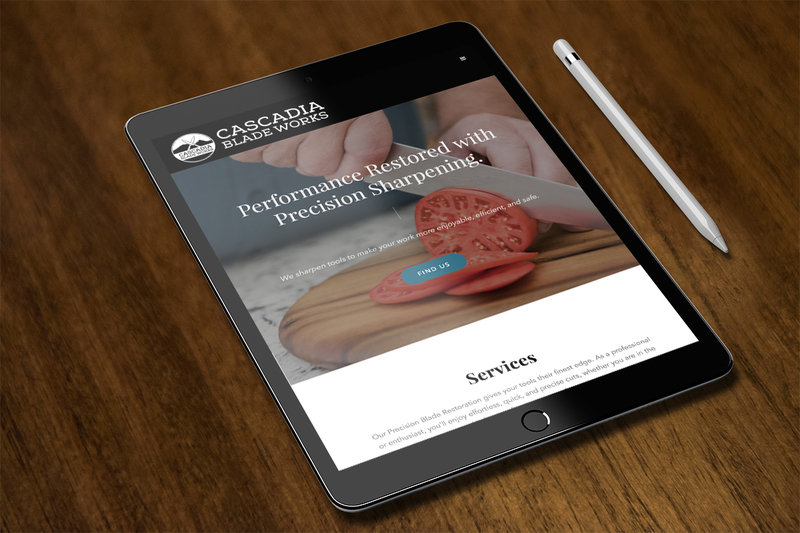 We also created a clean website with refined touches, to highlight their water-cooled fine sharpening process, and make it easy for customers to keep coming back to them--viewers can easily contact them, or find out what locations they'll be at next. "As a project manager turned entrepreneur, I knew I was out of my depth when it came to branding and website design. Upswept Creative did an amazing job of listening to the ideas I had and turning them into a fantastic logo that resonated for me. The team had a high level of engagement, agility, and flexibility throughout the entire brand and website development process. I am thrilled with the final results that stand out as something clearly different than the competition."